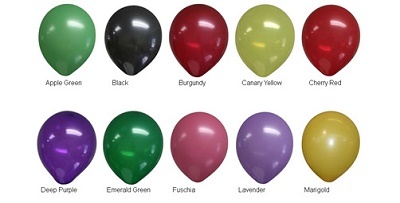 All of our wholesale balloons are printed and shipped from within the USA and are environmently friendly! Call 706-258-7041 for design assistance and a Free Quote. 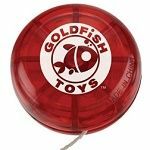 Prices below include a one-color, one-side imprint. 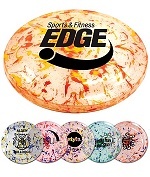 Contact us for pricing if you need second-side imprint or multi-color imprint. Color registration cannot be guaranteed. Production Time: Approximately 3-5 business days after proof approval. Shelf Life: 6-12 months in a cool dark place. 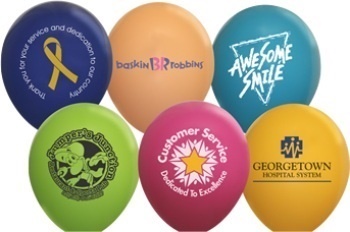 Print on both sides of your balloons for double exposure, contact us for additional charges. 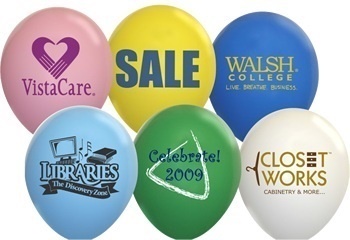 We also print on the top of balloons. 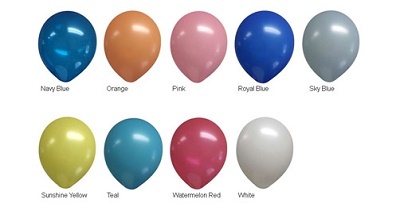 Contact us at 706-258-7041 for additional "North Pole Printing" charges.